You are here: Home / freebies and free samples / Do Your Kids Have An Account On Steam? Make Sure You Check This Out Before It Ends! Do Your Kids Have An Account On Steam? Make Sure You Check This Out Before It Ends! Do you have a Steam account? 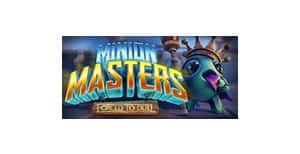 If so, you can currently download the game Minion Masters: Forced To Duel for FREE! This game challenges you to create your army of minions and then battle other minion armies! Overall, people who have played this game have really enjoyed, and you probably will too! If you do not currently have a Steam account, you can download one to your computer. Having a Steam account is really great if you enjoy playing video games because they frequently offer FREE downloads and special deals. The FREE download offer for Minion Masters will not last for long, so get it while you still can!